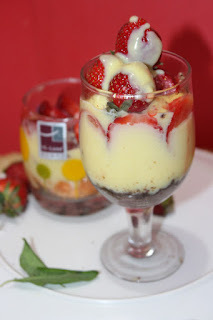 Prathu's Food: strawberry custard pudding - Passionate Cooking for Vegeterian Food. Looks yum yum yum ! I love this simple but so delicious looking dessert. Haven't made custard in a long time.